If you’re considering whole life insurance as an investment product — there are a few numbers you need to know before getting into it. The first is how much you’ll have to pay into the insurance policy every year (or monthly) — that’s the premium. The second piece is the value of the insurance policy. The third piece is the dividend rate — this is arguably the most important piece because it determines how quickly or slowly you get into making actual money from whole life insurance. So what should you do with your dividends? 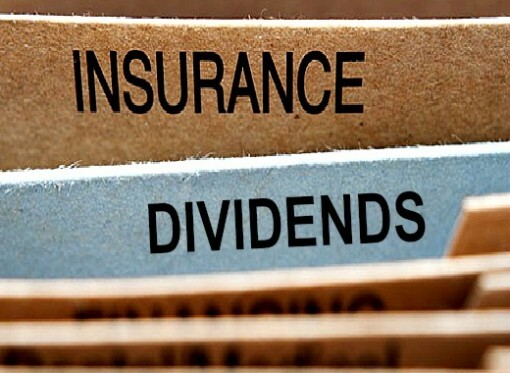 What you choose to do with the dividends has significant impact on your investment and you have three options with the dividends you get from your whole life insurance. 1) GET PAID: You can choose to have the dividends paid out to you. If you choose this, you’ll have cash coming in every year from the premiums you’re paying. How much you’ll receive depends on the amount you’re insured for, how much your premiums are and the dividend rate for that year. If you choose to have dividends cashed out, then your policy doesn’t grow (but doesn’t get smaller), your premiums remain the same and the annual dividends that are paid out rely on the rate as opposed to increased dividends from an increased investment (see #3). When you use dividends to lower future obligations, your outlay each year is less because (insurance company) is sending you the dividends rather than reinvest. So yes, you’re technically not locked into a higher premium. 3) RE-INVEST This is what your agent wants you to do. Use your dividends to reinvest into buying smaller insurance premiums. The upside, as your agent will emphasize, is that by reinvesting your dividends to buy more whole life insurance, your policy will not only grow, but so will the cash value. I’ve been told that you cannot choose two options, it’s all in on one of the three so select wisely. As I’m sure you’ve noticed, the key piece to a successful whole life insurance investment are the dividends received. The dividends you get determines when and how much you ultimately make over time. Before you even get to the point of choosing one of the above options, you should go in knowing the history of the company’s dividend rate. You never know what’s going to happen, if you did, you’d be wealthy by now. So if you’re going to pay premiums for whole life insurance and have that investment in your portfolio, go in with as much information as you can. Determine what’s the most important aspect of a whole life insurance policy to you (the policy or cash value or both? ), know the dividend rate and choose based on what you consider the most important.